These Common Core-aligned discussion questions and activities for Mouseheart explore setting, themes, characters, plot, language, and point of view. 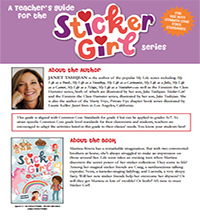 This curriculum guide contains reproducibles for each activity. The Warriors series meets Redwall in this first book in an epic animal adventure series set in the subway tunnels of Brooklyn.